Higher than usual amounts of rainfall this summer in the Midwestern and Southeastern U.S. have caused a rapid growth of ragweed in these parts of the country. This year’s allergy season is anticipated to be worse and last longer as a result. 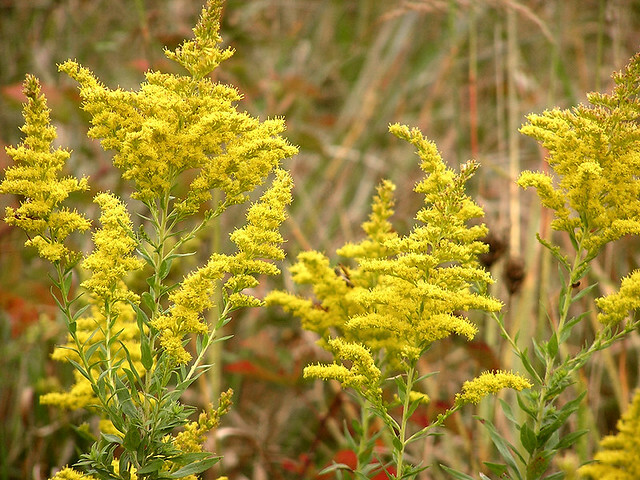 Experts say that the combination of rain and sunny, warmer temperatures are to blame for the usually high growth of ragweed, one of the fall’s most dreaded allergens. Pollen counts are rising significantly throughout the southeast, and cities like Atlanta have been reporting record pollen counts this year. Midwestern cities such as Toledo, Chicago and Minneapolis also have a higher than normal amounts of ragweed growth. The peak allergy season in the Southeast has typically been around September 19th, with a month or so before and afterward. Warmer temperatures, however, will cause allergy season to start sooner and last longer. Colder, damper fall conditions that can occur in October and November can trigger other allergens, such as dust mites and mold, which make allergy season seem even longer for people who already suffer from late summer/early fall allergies triggered by ragweed. Allergy sufferers can alleviate their symptoms by using antihistamines, eye drops and nasal sprays. Turning on the air conditioning can also help provide some relief. People with persistent symptoms should see an allergist at Atlanta ENT before ragweed season is upon us.